Assure each client of the most unique and distinctive project designs using the finest quality workmanship in the products we represent and the services we deliver for all their building and plumbing needs. We offer you the opportunity to have the home design that no one else has, one that is unique and custom designed for you alone. We pride ourselves on our long standing community involvements and our reputation as leaders in our industry. Our clients love their homes, and they love how we make their perfect setting possible. This family owned and operated company has successfully navigated the growth over the years by employing excellent artisans and technicians. 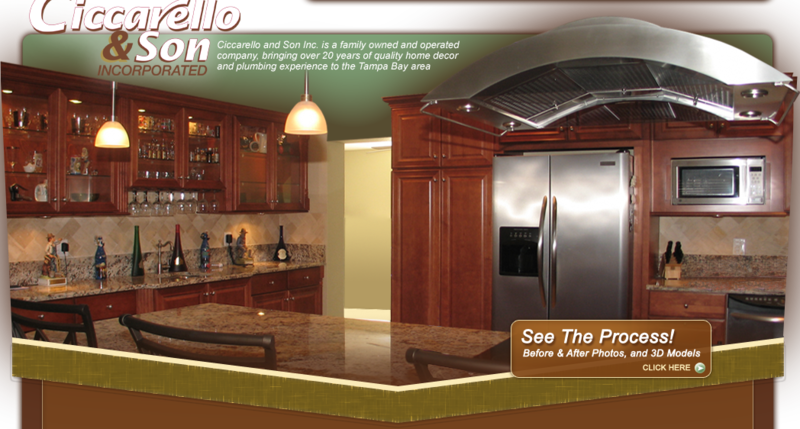 You will be glad you chose Ciccarello and Son to develop your home into the perfect design for your lifestyle.